1. Take a walk. OK, maybe spruce it up a little by bringing along a Scavenger Hunt!Mac loves this simple one I created one day, check it out here, we use it often on or walks. You can walk around town, in cemeteries anywhere really! 2. Home Depot craft day. This happens the first and sometimes third Saturday of the month. It is FREE at your local Home Depot store or Lowe's store. They supply everything you need to build a project. It is open to the public, free, for both boys and girls! 9am-12! 3. Pumpkins. Find pumpkins, carve some, paint some just overall have fun with pumpkins. 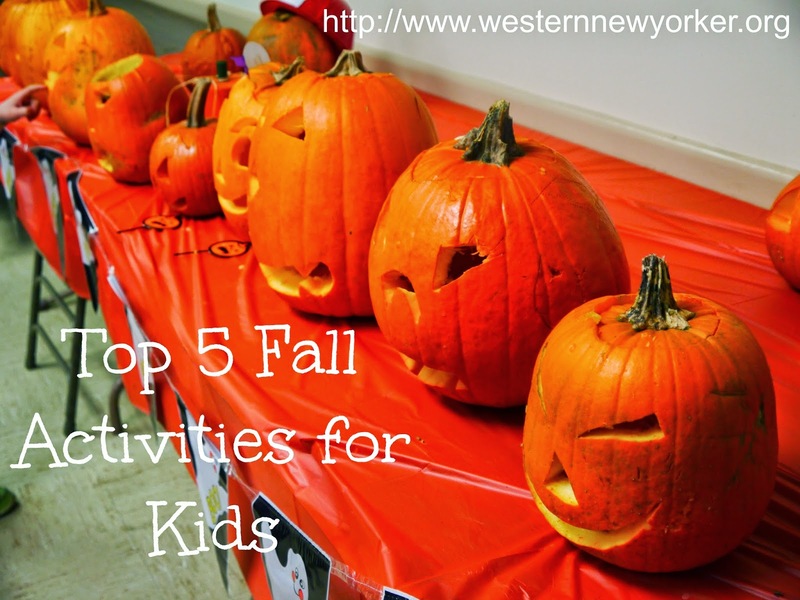 Fall is a great time to use them for crafts or cooking with your kiddos. Even if you don't celebrate holidays you can still do this! 4. Playing in leaves. Seems rather obvious given it's Fall. 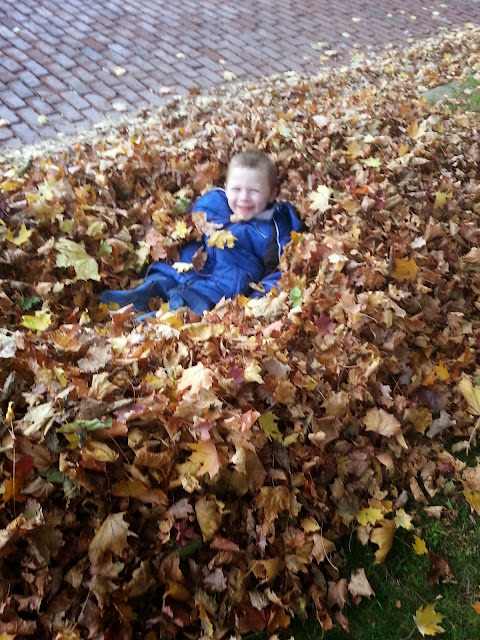 You would be surprised at how many adults have not raked some leaves and then jumped in them. Kids love this and it's FREE! 5. Pull gardens. 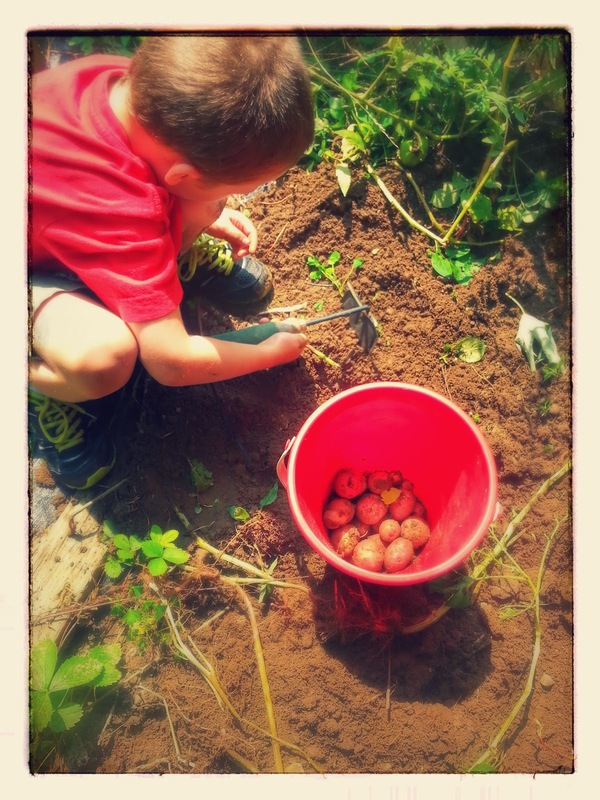 This is one of the best activities of the Fall because you can see the "fruits" of your labor. If you have a garden dig it out and wash off the goodies you grew this year. If you didn't plant anything this year check out your local town several have co-ops who would love extra labor to pull crops! What a great list, everything outdoors! What fun pics! I loved it!